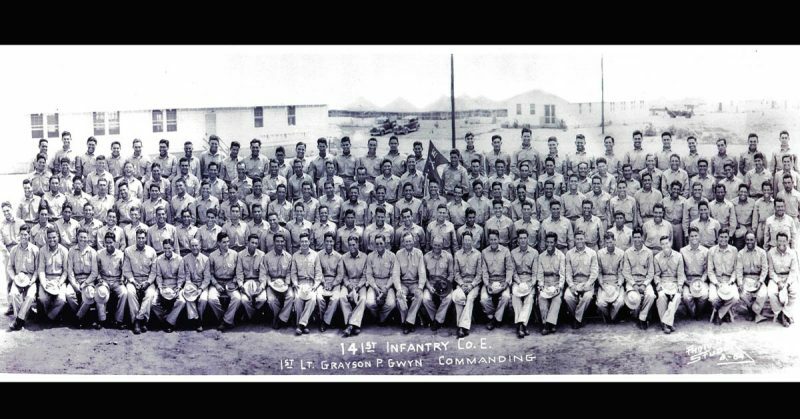 Company E. Photo taken Oct. 1941 at Camp Bowie in Brownwood Texas. Photo credits: Dave Gutierrez. There are several unique WWII units that have been well documented. The stories of all the African-American Tuskegee Airmen and the all Japanese-American unit of the 442nd Infantry can be found in books and films. Now the men who served in the U.S. Army’s all Mexican American infantry unit is finally receiving recognition for their service. An original National Guard unit was composed entirely of Mexican-Americans from barrios in Texas. The men who served in the 36th Division, 141st Regiment, 2nd Battalion, Company E were involved in some of most crucial battles of WWII during the Italian Campaign. The 141st Regiment traces their roots back to the Texas Revolution and is the longest serving unit of the Texas National Guard. The 36th Division or T-Patchers as they were known spearheaded the Allied landing at Salerno Italy. The unit saw action at Mount Rotondo, San Pietro and one of the most controversial and deadliest battles of WWII, the crossing of the Rapido River. In a span of forty-eight hours, the 36th Division lost over two thousand men at the Rapido River in January of 1944. It became so controversial that after the war a congressional hearing was held to see if actions should be taken on those who were in command of a unit that lost so many American lives. Sgt. Manuel Rivera from El Paso Texas when describing the carnage of the Rapido River crossing stated, “If you didn’t get wounded, if you didn’t get killed, if you weren’t captured then you weren’t at the river.” Sgt. Rivera was wounded during a pre-crossing recon patrol across the Rapido. Only 27 of the 154 men of Company E that crossed the Rapido River returned. 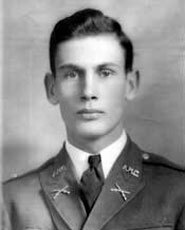 The Company Commander, John L. Chapin of El Paso Texas was killed in action leading his men across the Rapido River. In 2000 a new high school in El Paso Texas was opened and named in his honor. Ramon G. Gutierrez of Del Rio Texas served in Company E as an automatic rifleman for an advanced squad. During the landing at Salerno on September 9, 1943, Gutierrez and his squad were pinned down by enemy tanks and machine gun fire. After witnessing several men wounded and killed, Gutierrez rushed a machine gun nest firing his Browning automatic rifle. Gutierrez was hit in the arm causing him to lose the rifle. He kept advancing on the enemy machine gun nest. He silenced the machine gun nest with a hand grenade killing three enemy soldiers. Gutierrez then leaped into the machine gun emplacement killing the last enemy soldier in hand to hand combat. 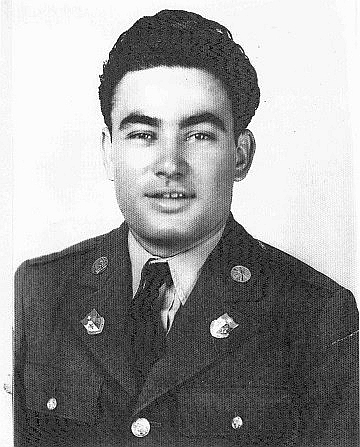 For his actions at Salerno, Gutierrez was awarded the Silver Star by the U.S. Army. Gutierrez would become one of only a handful of Americans to be decorated for valor on the battlefield by the Soviet Union duringWWII. 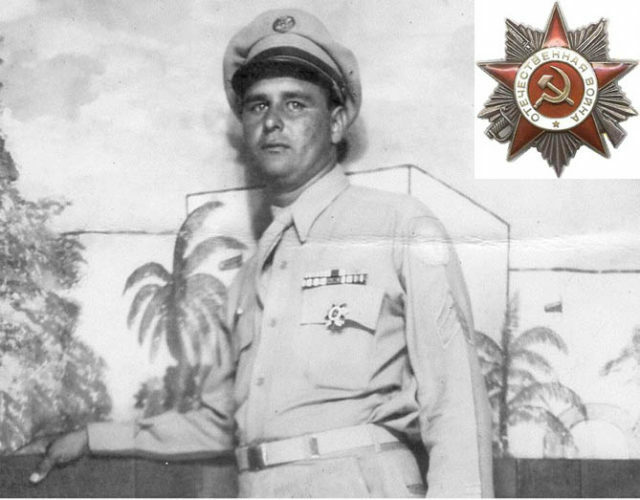 A Russian observer was at Salerno and was so impressed by the actions of Gutierrez that the Soviet Union would later award the Order of Patriotic War Second Degree to Ramon G. Gutierrez. Ramon wearing the Russian Medal. 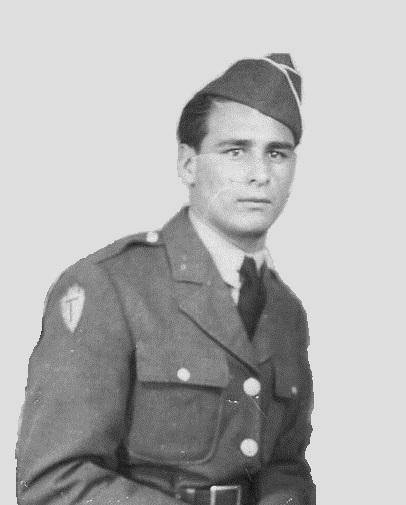 When asked why he made the decision to continue to charge the machine gun nest without a rifle Gutierrez replied, “I thought I was going to die that day, so I didn’t care about what happened to me.” He would later see action at Mt.Rotondo, San Pietro, Rapido River, Cassino, and Velletri. Captured on two different occasions he would escape and make it back across Allied lines on each occasion. 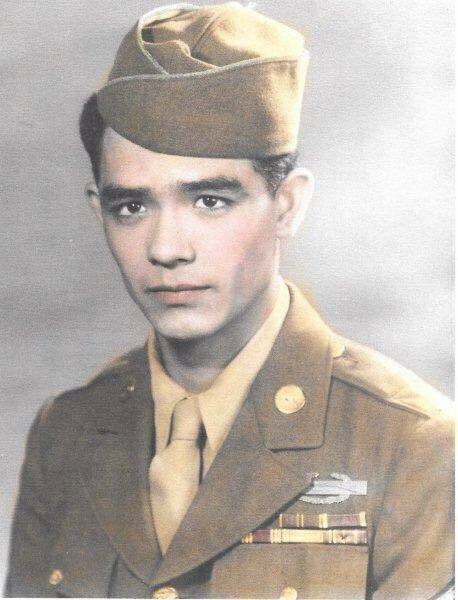 Gutierrez returned to the states in July of 1944 and was honorably discharged from the Army. Gutierrez married Consuelo “Connie” Sanchez who had also served in WWII as a Navy Wave. They raised a family in Wichita Falls Texas and San Jose California. Gutierrez passed away at the age of 70 in Wichita Falls. PFC Gabriel Salazar of El Paso Texas described why he joined the Texas National Guard, “I know only that I wanted to belong to a group of young men whose lives were similar to mine. I knew I could never find such unpredictable experiences at home.” While describing the scene at Alta Villa near Salerno, PFC Salazar stated, “I remember marching up the winding road towards Alta Villa. We could smell the burning flesh of dead Germans who were trapped in their Tiger Tanks. It was the sweet smell of death, rather like chocolate, sweet enough to turn your stomach. I hated the smell of chocolate for a long time after this experience.” Outside of El Paso Texas very little is known about the men who served in one of the most unique and historical U.S. Army units of WWII. The true story of the men who served in the U.S. Army’s all Mexican-American combat unit is chronicled in the book Patriots from the Barrio.